Lakeside Marine & Service is a Minn Kota Authorized Service Center. This transom mount fits most fresh water Minn Kota models 55 lbs and less including the following. Endura and Endura C2 Models. Powermax Models Transom Brackets. Kit Contains;. 4 - 2372100 - Cover Screws. 1 - 2262220 - Red Drive Indicator. 1 - 2260150 - Red Pointer Disc. New OEMMinn Kota Transom Bracket For Endura. Part # 2991815A 2771818. New Minnkota 5 speed switch with nut and washer. Part number 2884026. Trending at $17.76eBay determines this price through a machine learned model of the product's sale prices within the last 90 days. 2 - Brush Assemblies. 2 - Brush Plate Screws. 1 - Brush Retention-Paper Tube. 1 - Armature Seal. 1 - Armature Seal With Shield. This is a generic kit. Not all parts will be used with every motor. 1 - Retaining Ring. Part #2064028 -replaces part #2064023. Minn Kota Endura - Turbo - Vector Trolling Motor 5 Speed Switch. Keep in mind when buying this part that this trolling motor will not work with Vector 3x Models. Lakeside Marine & Service is a Minn Kota Authorized Service Center. Minn Kota2260150 1998 to 2010 Maxxum Bow Mount Cover Kit. Parts Included in this Kit (4) 2372100 Cover Screw. Vector models 55 3X - 65 3X - 70 3X - 74 3X - 80 3X - 101 3X require a different switch. QTY 1 Minn Kota Seal Kit 2883460. Part Number: 2064028. NEW Minn Kota motor switch. For use with Minn Kota Enduras. Fits other motors. MINN KOTA PARTS. 5 Speed Forward/3 Speed Reverse Switch. This switch features a new, more durable design. 2262535 or 2262531. MINN KOTA MOTORS. Fish-Lectronics is a Minn Kota Authorized Service Center. High-yield composite brackets let you easily remove your bow-mount motor! They're ultra-strong, corrosion-resistant and feature a low-profile design that leaves the deck clear when the motor is removed. Trending at $77.46eBay determines this price through a machine learned model of the product's sale prices within the last 90 days. Minn Kota Red Pointer Disc Kit. 1 - Red Pointer Disc. 1 - Indicator Decal. 1 - Red Drive Indicator. Pictured Together but SOLD INDIVIDUALLY (1) per quantity ordered. SOLD AS IS. The above part number supersedes the following old part numbers: 2304046, 2304055, 2304060, 2304064, 2884046. Lakeside Marine & Service is a Minn Kota Authorized Service Center. This is in very nice used condition and tested and works great. 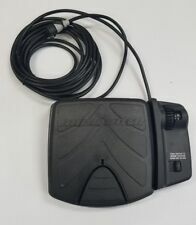 Replaces the discontinued Foot Pedal: 2774700. Attach the CoPilot receiver to the right side plate (2 screws), plug it into the back of the motor and CoPilot is ready to fish. It installs easily with plug-n-play design and a receiver that attaches to the right side plate of the trolling motor mount. Minn Kota 2390800 Lanyard with Carabineer, iPilot, CoPilot, iPilot Link, IP CP 1.6 3.0. OEM# 2064028. 1 Genuine Switch. 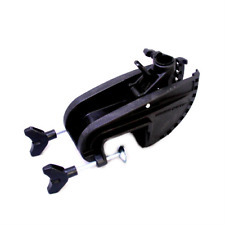 The T-Bar kit is for the Newer Endura style plastic transom bracket is a frequently replaced part. Kit Contains WILL NOT WORK! 1 - 2067201 - Black Tilt Lever. MINN KOTA PARTS. 5003 University Av. Minneapolis, MN 55421. 2 - Brush Assemblies. 2 - Brush Springs. 1 - Armature Shaft Seal. 1 - Armature Shaft Seal with Shield. This is a generic kit. Not all parts will be used with every motor. 2 - Bolt-O Ring Gaskets. Trolling motors that this kit will fit;. (1) indicator decal 2265800. (3) indicator gears 2267800. (1) indicator drive 2262220. (1) indicator bracket 2261905. Minn Kota Trolling Motor Prop Weedless Wedge™ Model: MKP-32. Minn Kota’s exclusive prop is the only of its kind that is 100 percent weedless. We are an authorized MK Service Center. Call us for great prices and service on all Minn Kota Motors, parts and accessories. 2888460 MINN KOTA 3-5/8" SEAL & O-RING KIT TURBO PRO. Kit includes (1) 701-081. Trolling motors that this kit will fit;. 1 - Armature Housing Seal. 1 - Armature Shaft Seal. 1 - Armature Shaft Seal with Shield. 2 - Bolt-O Ring Gaskets. VECTOR 65/3X. VECTOR 55/3X. RT65/B/SC/L&D/3X. Prop No. : 2091160. Service Part No. : 1378131. Part No. : 1865017. MKP-32 - Weedless Wedge 2 Prop. Prop Nut Kit: "A" (MKP-9). Also interchangeable with the MKP-37 Power Prop. Riptide PowerDrive 55, 70;. Trolling motors that this kit will fit;. 1 - Armature Shaft Seal. 1 - Armature Shaft Seal with Shield. 2 - Bolt-O Ring Gaskets. 2 - Armature Housing O-Rings (1 for each end). Mag Series 40. Mag Series 36. MINN-KOTA-COPILOT-REMOTE-POWERDRIVE-and-V2-NEW-1866120. Condition is New. Shipped with USPS Parcel Select Ground. Power Drive V2 with Auto PilotеК. Part No. : 1865023. Service Part No. : 1378160. MKP-38 - Weedless Wedge 2 Prop. Prop No. : 2341160. Prop Nut Kit: "E" (MKP-34). Ulterra 112;. Terrova 112;. Lakeside Marine & Service is a Minn Kota Authorized Service Center. All Terrain models from 1994-2008. Edge models from 2006-2011. This kit fits the following models This kit includes. Trending at $192.99eBay determines this price through a machine learned model of the product's sale prices within the last 90 days. #2061151 (1378211). 65W, 65M, 65MX, 365W, 565W, 365M, 365MX, 565M, 565MX. 665M, 665MX, 765MX, 30EX, 2 HP. MINN KOTA MOTORS. 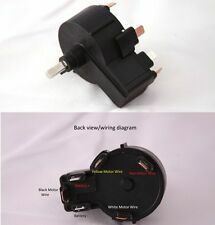 Fits these Minn Kota trolling motors This prop will only fit steel column motors, not the black composite column models. (1) 2990140 Yellow Indicator Assembly. 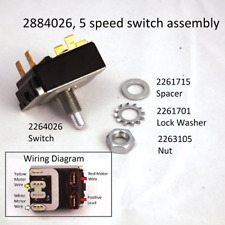 Parts Included in this Kit (4) 2372100 Cover Screw. Part No. : 1865018. Service Part No. : 1378132. MKP-33 - Weedless Wedge 2 Prop. Prop No. : 2331160. Prop Nut Kit: "E" (MKP-34). Riptide Ulterra 80;. Ulterra 80;. Terrova 80, 101. Lakeside Marine & Service is a Minn Kota Authorized Service Center. This upgrade kit updates all older models to the most current design. Pictured together but SOLD INDIVIDUALLY. Lakeside Marine & Service is a Minn Kota Authorized Service Center. Minn Kota Auto Pilot electric steer models. Lakeside Marine & Service is a Minn Kota Authorized Service Center. Minn Kota Deck Hand Repair Kit. Repairs all Deck Hand 15, 18, 20, 25 and 35 models. This kit has everything you need to repair the Nylon Worm Gear. 2297505/2297515 MINN KOTA ULTREX STEERING CABLE (UPGRADE), RIGHT AND LEFT. 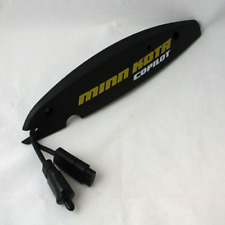 NEW OEM MINN KOTA STEERING CABLES FOR ULTREX. Minn Kota 4" Brush & Seal Kit Terrova & Riptide ST 2889460, 188-094, 975-041, 92-600-199, 830-027. (1) 2889460 Seal Kit. Fits all 2007 and newer Terrova and RipTide ST trolling motors with thrust levels of 80 and 101. 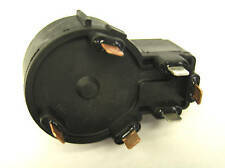 MINN KOTA CONTROL MODULE ASSY 2990247, SIMILAR TO 2770227. Minn Kota is a manufacturer of boat parts. These parts are constructed with marine technology and provide heavy-duty horsepower on the water. The boat kit assembly helps you to maneuver using a trolling motor and other boat accessories. Does Minn Kota make a motor prop with swivel action? Water made: Parts by Minn Kota are marine-friendly and designed for the water. They work with boat designs and other aquatic features. Every kit is prepared for immediate use in freshwater. You have to find the right trolling motor for your boat use. Also take into consideration whether you will use your boat in saltwater. Mounted technology: The mounted specs for these parts by Minn Kota is about flexibility when gaining angles. A boat will find itself drifting eventually, and a 360-degree capacity is needed to redirect the motion. Trolling motor kits, along with other parts that propel water, mount for a free hang in the water. Smooth sailing: Smooth sailing with Minn Kota is possible because of aerodynamic water technology. Every boat has to find the right trolling motor to make a matching pair. How do Minn Kota boat parts work? Minn Kota parts put boats back on the water. The engine components give water vessels buoyancy and security out at sea, on a river, or on a lake. A cable motor has extension capabilities. It creates ease in your maneuver or travels through water. Easy water transportation: Minn Kota works for easier transportation. The mount parts help in the science of flexibility. The Minn Kota prop picks up water at every angle as a result. Simple controls and speed gauging: Trolling motors use a function for quick and easy operation. The prop position that these motors come in is designed for simplicity. Each motor is listed and available with other marine accessories. Cable readjust as needed: Trolling motors adjust for fast-action water maneuvers by using cable extensions. Accessories like these are about simplicity as a cable keeps you connected to power. Why should you add boat parts to your vessel? 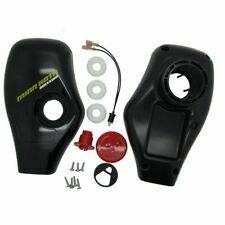 Boat motor accessories give you more life on the water and can also be used to replace faulty or worn boat parts. For example, you increase your movement flexibility with a trolling motor. The accessories for aquatic vessels piece together the true functioning of a boat, and dach engine component helps to accomplish a safe navigation. Content provided for informational purposes only. eBay is not affiliated with or endorsed by Minn Kota.